Training as a Chartered Accountant opens the door to a vast range of exciting career opportunities in every sector of business and finance, in Ireland and internationally. 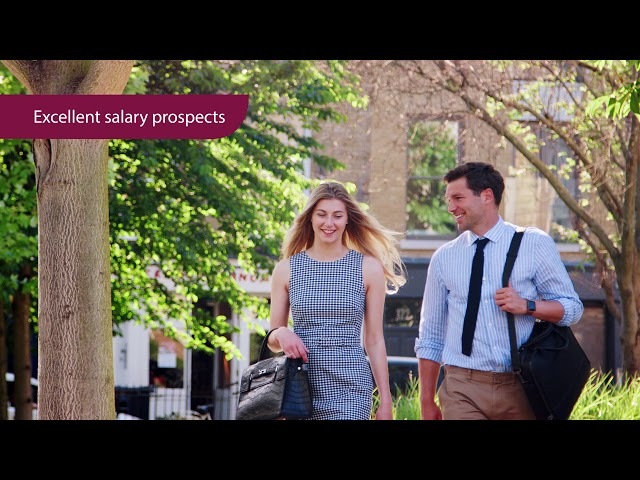 No other professional qualification can offer such mobility, Chartered Accountancy allows members to move freely and successfully across a diverse range of sectors and roles. The majority of students that enrol with the Institute are graduates from 3rd level institutions, comprising of business and non – business graduates alike. The accountancy sector covers a wide range of business sectors and in a broad spectrum of roles. It can be divided into accountancy firms that provide advice and accounting services to a range of clients in both the public and private sector, it also covers accountants working in individual organisations. Chartered Accountants Ireland is a membership body representing 25,000 influential members throughout the globe. 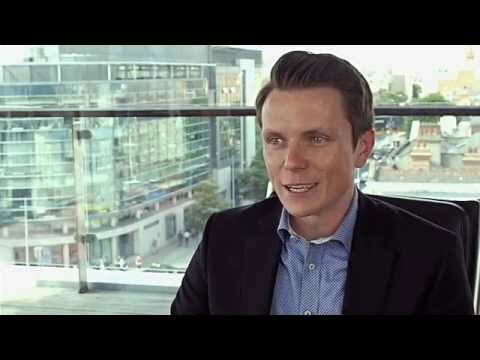 Chartered Accountants are Ireland’s leading business professionals and work in all business sectors – from science and technology to agribusiness and finance. Ruth works as a Chartered Accountant and has recently been made a Partner with Bluett Conran & Co. She completed a primary degree in European Business and Languages at the National College of Ireland, and went on th do a Post Graduate diploma in Accounting in DIT. 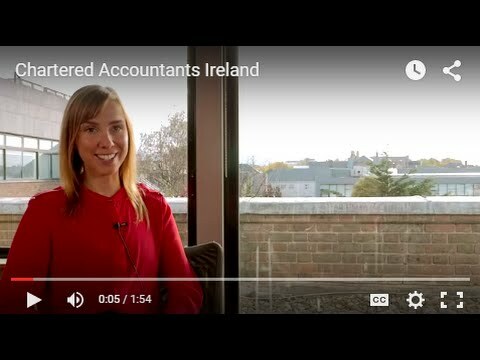 She then chose to study with the Chartered Accountants Ireland to become a Chartered Accountant. The main career decision for me was to undertake the Chartered Accountant training programme. Since then I have been on a continuous journey of learning and acquiring new skills. Although my formal training is completed, the road ahead is one of continuing my professional development. There has not been a single individual who has influenced my career to date. Family, friends and everybody in my life have influenced me in different ways and have shaped me into the person that I have become, personally and professionally. The various courses I have undertaken have also influenced the direction of my career so far. Throughout my studies in DIT (Dublin Institute of Technology) for my post graduate diploma in accounting we completed a number of accounting related subjects. When I researched the different types of accountancy, I chose chartered as it covers a variety of core accounting subjects. The Chartered Accountant's Ireland website provides prospective accountants with a list of Chartered Accounting practices that employ trainee accountants. It was through this website that I applied for a training position in Bluett Conran & Co., and was successful in my interview. During my training contract I was appointed associate at Bluett Conran & Co. I have recently been appointed a Partner with Bluett Conran & Co and am embracing the challenges of this new role. Working in a small general practice it is difficult to describe a typical day as no two days are the same. During any one day I could work on an audit, complete tax returns, liaise with the other partners, supervise audits and accounts preparation, converse with clients, answer queries from clients or trainees and broaden my knowledge through researching. To a great extent the general practitioner operates as a "one stop shop" for clients. If we don't know the answer we will know where to go to find it. As I have recently been appointed a Partner in Bluett Conran & Co. my role is currently changing. At present, with the other partners, I prepare work plans for the office. I supervise and review work, including audits, tax returns, accounts preparation and any other work we undertake. I review clients financial portfolio's. Time management plays a vital role in my every day work. It is important to plan our work to ensure we provide a good quality service to our clients. It is necessary to be able to work on a variety of tasks in one day and sometimes it is challenging to change your mind frame from one subject to the next. Bluett Conran & Co. has a diversified client base and I find the wide range of matters that we deal with to be very interesting and rewarding. Apart from the normal accounting, audit and taxation services I have been involved in providing internal audits, assisting Executors in a number of complicated Estates and arranging pension and investment portfolios for clients. Every day is different and this is a major attraction for me. Attending lectures after work is very challenging but when they are completed the rewards are there to reap. Confidence and professionalism built on a solid grounding in accounting and taxation. Good communication and team working skills. I obtained my primary degree in European Business and Languages at the National College of Ireland. During my four years at NCI I spent one year studying in Paris at Ecole Superieure du Commerce Exterieur. This was an exciting year where I learned a lot about French business customs and got to enjoy French culture. However, although I thoroughly enjoyed the European aspect of business and the French language, I decided to take up accountancy to get a better business understanding. I completed a postgraduate diploma in accounting in DIT for one year after my degree. I then opted for a chartered accountancy qualification with Chartered Accountants Ireland. In Bluett Conran & Co. we deal with all aspects of a client's finances it is necessary for us to have a broad knowledge of financial matters. With this in mind, after qualifying as a Chartered Accountant, I studied with the Life Insurance Association and completed their QFA qualification. As part of my desire to have a broad knowledge base I am currently studying with the Institute of Taxation and will sit my final tax exams in May. The Chartered Accountants Ireland qualification is the bedrock of my job. The other courses I have undertaken are have strengthened this qualification. There have been a number of memorable events in my career so far. I find from passing an exam to completing an audit or tax return to my satisfaction is rewarding. Each achievement is memorable and rewarding until the next. At present the current most memorable and rewarding event is being appointed a Partner in Bluett Conran & Co. I believe the most important aspect to progress in a chosen career is being happy and fulfilled in your job. It is important to be motivated and set new goals to continually grow and enhance your career. I am an organised person and this has proved to be an important quality as a Chartered Accountant. Being motivated, organised and an eagerness to learn have been essential to my career progression to date. It is very hard for me to describe my dream job. To me, going to work happy and leaving work fulfilled is very important. I enjoy all aspects of work in Bluett Conran. Being a Partner is my dream job, I couldn’t imagine anything better. Yes working in Bluett Conran promotes the lifestyle that I am happy with, from the regular Mon-Fri 9-5.30 hours to the financial rewards. Having my evenings free enables me to pursue various hobbies. I enjoy travelling and with the generous holidays in Bluett Conran I get the freedom to discover the world. Motivation, dedication and an eagerness to learn something new every day! I am currently studying for the finals of the taxation exams with the Institute of Taxation. At present, I have not enrolled for any other courses. If something grabs my attention after the tax exams I may be enticed to take on another course! I continue to have an interest in languages and at the moment in my spare time I am learning Spanish. I also have an interest in music and when I have more free time I would like to learn to play the guitar! The Chartered Accountancy qualification is undertaken as part of a structured training programme. 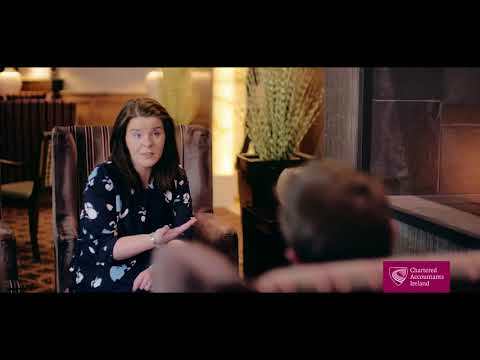 Training is given within the training firm and Chartered Accountants Ireland hold workshops and seminars to give trainee accountants scope as they embark on their new career. The main disciplines needed to pursue the Chartered Accountancy qualification are dedication and commitment.